I had social anxiety & didn’t want to do anything. I was completely inactive. I realized it takes a lot of work & consistency. I was finally ready to make that happen. I’ve been overweight since elementary school. I was an active kid (dance & cheerleading) but the weight kept coming on. By middle school, I was wearing a size 24 in women’s. I had developed social anxiety and only hung out with a few close friends. Throughout my high school years, I was somewhat active with marching band but I was overeating and medicated for anxiety & high blood pressure. My junior year I started the Atkins diet & lost 80 lbs. Got down to 200. Then I started eating carbs again.. and eventually gained 150 lbs between my senior year of HS & my freshman year of college. One day I had an awakening when my brother wouldn’t let me ride in his new car because I couldn’t fasten the seatbelt. I cried so much. I weighed 350 lbs. So, I decided to pursue weight loss surgery. I lost 20 lbs doing low carb before I had a lap band put in in 2006. I lost about 30 lbs with the lap band. After the first few months I stopped going to my weight loss dr’s & didn’t get any more saline fills. I yo-yo’d around 290-300 lbs for a few years. I didn’t exercise & when my food would get stuck from the lap band I’d just wait until it went down so that I could eat more. 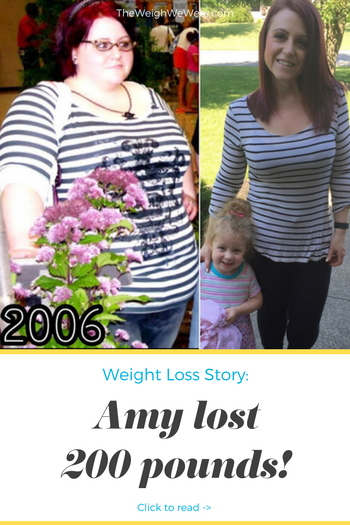 I did low-carb again & lost about 40 lbs before I became pregnant with Carter in 2011. I was on bedrest & had appointments with a high risk dr for the last 10 weeks due to severe hypertension. I was 309 when I had him. I got down to about 270 before I got pregnant with Presley. No bedrest with her, but still medicated for blood pressure. I was 306 when I had her in 2013. On April 2nd 2014, I downloaded the myfitnesspal app. I was driving home from work with my chocolate peanut butter bugels & I decided to track them. It was eye- opening for me to see my calorie goal (based on my height & weight) & how much food I was actually eating. My starting weight was 282. I’ve used the app every day since then. I have a sedentary desk job & up until that point I was inactive outside of work too. May 2014 I started walking every day for exercise. Eventually began interval running with the C25K app, which helped me begin running longer distances. I exercised every day from May 2014-May 2015. Sometimes it was just a walk, but anything to get me moving. 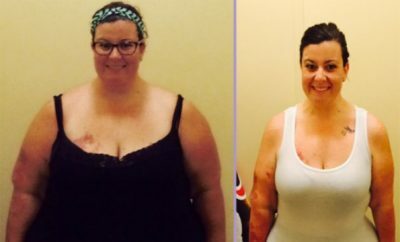 I lost over 120 lbs in 10 months. August of last year, I had my lap band removed. The port was causing me pain in my side and I wanted it out. I didn’t feel like it was helping me since all the saline had been gone for years, so I wasn’t scared that I’d gain anything back. I’m so glad it’s gone; I feel so much better without it. I’m coming up on my 2 year fitversary. I consider April 2nd my starting point because it’s the first time I’ve ever truly committed to working for this. All other attempts I wasn’t ready to commit and make a true lifestyle change. Over the last year there have been ups and downs. 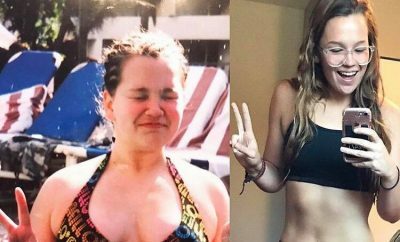 I’ve battled with binge eating & scale obsession (and still do, but it’s getting better). I’ve lost 10 or so more lbs, but mostly maintained my loss. I workout 4-5x a weeks, exercise on my breaks at work, and still use myfitnesspal to track. I do have cheat meals every once in a while, but I have to be careful because food is still a slippery slope for me. I’ll always be a food addict, but I know I’m stronger than its hold on me. I’m a work in progress & this is a lifelong journey. Set small goals & crush them. Don’t weight yourself more than once a week. Take measurements & pictures to compare. When you fall down, get back up. Don’t beat yourself up. 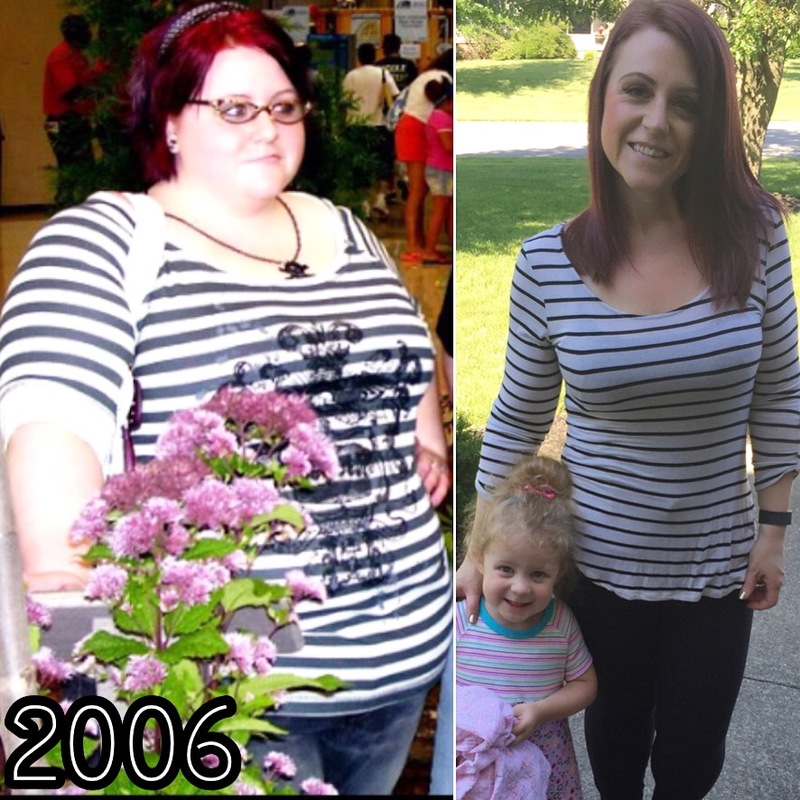 ← Previous Story One Year Later and the Weight is Still Off! 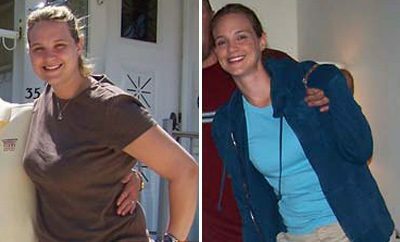 Next Story → Carla Hampshire began a very strict program to reduce body fat down to 10% and a healthy weight of 100 lbs. Check it out! You’re a true example that hard work pays off. 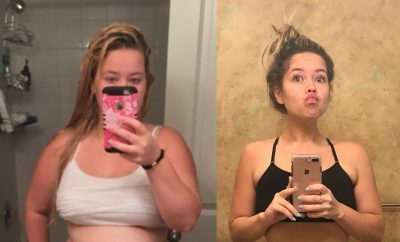 I am 7 months into my journey and hope to share my success story one day!